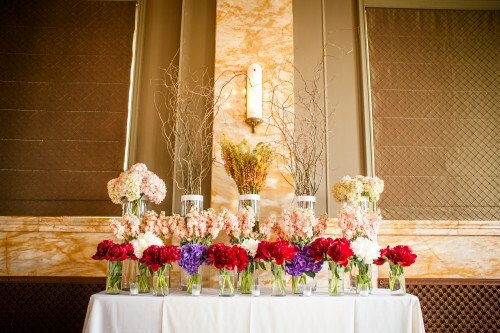 Jessica and Jack planned a gorgeous spring wedding at THE GOVERNOR HOTEL in the Renaissance Room and Billiard Room. Jessica’s priority was decor while Jack’s was food and ensuring everyone had a good time. Well…their guests definitely had a great time and the rooms were stunning! Congrats you two! The beautiful bride & cutest ring boy ever! Ceremony backdrop. There were two HUGE arrangements flanking the stage as well. Knock your socks off gorgeous. 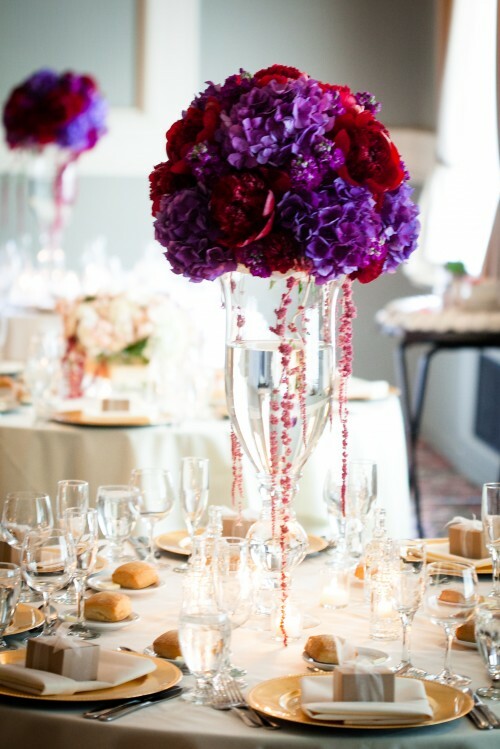 Centerpieces…the ballroom was dripping in beautiful fluffy peonies. My absolute favorite!! Coordination by Nora Sheils, Photos by POWERS STUDIOS, Flowers by FLEUROLOGY, Catering by JAKE’S CATERING, Hair/Makeup by POWDER, INC., Rentals by OHANA PARTY RENTALS, Cupcakes from CUPCAKE JONES, Ceremony & Reception Music by CHAD DOWLING PRODUCTIONS, Printing by CRAVE DESIGN.